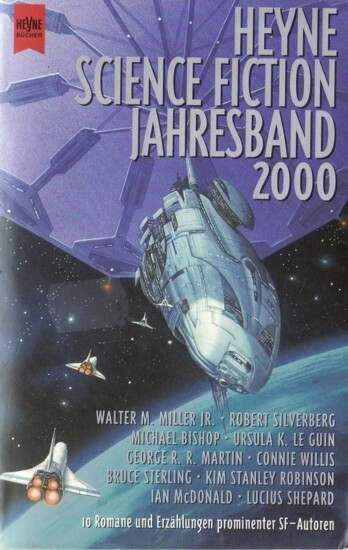 First edition ("Originalausgabe" 1/2000 stated on copyright page), apparent first printing. "Printed in Germany 11/1999" stated on copyright page. Cover artists credited on copyright page. Translators credited at the end of the respective shortfiction. Cover design credited to Nele Schütz Design on copyright page. Other prices: ÖS 131 (Austria).